The MAC-ISA is a not for profit organization for arborists, urban foresters, and others involved in tree care. Our mission is “to promote a culture of safety while fostering education and research that supports the care and benefits of trees.” The chapter area includes District of Columbia, Maryland, Virginia and West Virginia. 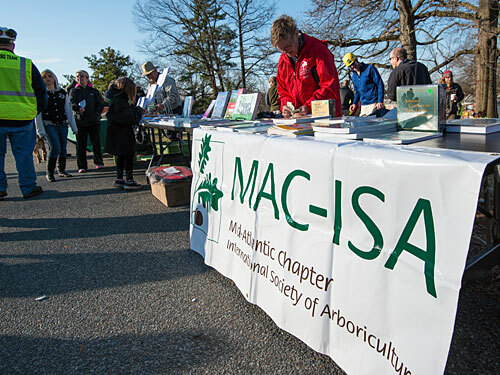 The Mid Atlantic Chapter of the International Society of Arboriculture, known as MAC-ISA, is a component of the ISA, the largest arboriculture association worldwide. We are a separate not for profit corporation representing Maryland, Virginia, West Virginia and the District of Columbia. Our members are made up of tree industry professionals from commercial, utility, municipal, educational sectors and other green industry related fields. Our mission is to promote a culture of safety while fostering education and research that supports the care and benefits of trees. The MAC-ISA was established in 1978. We promote safety in all that we do. MAC-ISA provides educational events that include a tree climbing championship, certification courses and exams, Tree Risk Assessment Qualification courses, Day of Safety, demonstrations and an annual educational meeting and trade show. A quarterly newsletter, Canopy Coverage, is provided to all the members along with a monthly electronic notice entitled Enotes. MAC-ISA raises money for tree care research and supports many local projects and partnering organizations. We provide a green industry calendar that lists trainings in our chapter area, that offer ISA continuing education credits. We support research through promoting and giving donations to the TREE Fund and hosting annual fundraising events. Photography by Patrick Teague Photography and others.